"The success we have achieved has been remarkable and the momentum continues"
In conversation with Asad Umar, during his tenure as President & CEO, Engro Chemical Pakistan. AURORA: When was Engro established? 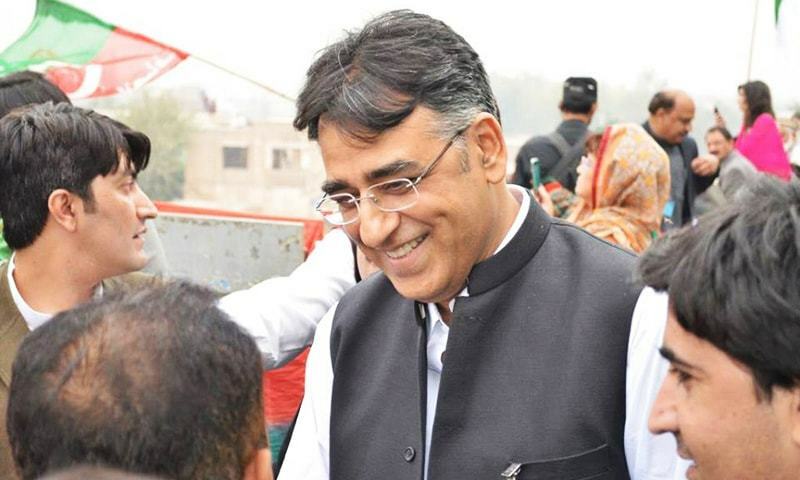 ASAD UMAR: Engro goes back 42 years; it was then a fertiliser company known as Exxon Chemical Pakistan. 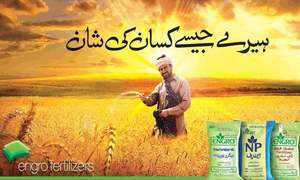 In fact, the original name of the company was Esso Pakistan Fertilizer Company. In 1991, Exxon decided to divest their fertiliser business on a global basis and concentrate on its core business which was petroleum. As a result, in Pakistan, the company was bought out by the employees and was renamed Engro Chemical Pakistan. 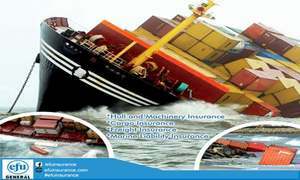 Since then we have diversified into different businesses and today we are into petrochemicals, automation and controls, energy and food. A: Why diversification to this extent? AU: In Pakistan, we tend to follow the latest mantra that comes out of the West. Yet, what makes sense there does not necessarily make sense in emerging markets. Core business makes sense in developed, highly-competitive markets requiring a high degree of specialisation. In emerging markets, the majority of the winners tend to be conglomerates, which is why if you look at what was going on in Japan during the 60s and 70s, other than Toyota and Sony, most of the winners were conglomerates; South Korea in the 70s and 80s was characterised by the chaebol form of conglomerate, and the vast majority of winners coming out of India are all conglomerates. The reason is that the advantages of scale mean much more in an emerging market, and that model applies to Pakistan as well. A: The diversification has been rather fast paced. Is this wise? 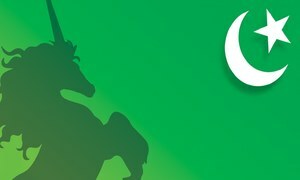 AU: Engro has certain unique advantages. We have a culture that is able to attract a workforce of a quality which normally tends not to work for Pakistani companies. Engro is the only company in Pakistan of its size which does not have a single shareholder with more than a 15% stake; we also have a diverse board and all this makes for a unique culture. Last year, we initiated new projects totalling an investment worth $1.6 billion. This has never been done before by any Pakistani company. A: At this level of diversification, where do you find the expertise that can deliver? AU: When we launched the food company, a lot of people, within and outside the company asked me what we knew about the FMCG business in general and food in particular. My answer was “nothing”. The real question was did we have the ability and the capacity to attract the expertise which did know about food and the FMCG business? The answer was that we did, which is why we were able to enter a product line which already had two entrenched competitors controlling over 90% of the market between them. Yet by last year, our increase in sales in the dairy category accounted for more than the entire growth of the industry, while the gap between us and the number two brand, which started off at 45%, was down to less than 10%. Compared to the other companies which entered the dairy category at about the same time that we did, we are at least five times bigger than any of them today. The success we have achieved has been remarkable and the momentum continues. A: What brought about this success? AU: Firstly, we were able to get the right people; this is critical, however it is not sufficient. Secondly, because of our ability to create structures and a decision making process that allows us to utilise the expertise that we get. There is no point in having good people if you are not going to let them use their talent. "When you set up a new company, you tend to go through a period where people have to adjust to different cultures blending in. It is also an opportunity to import fresh ideas from people coming in with different perspectives and from different backgrounds, and that adds to the richness of the culture." A: Why is Engro putting so much emphasis on the food sector? AU: The opportunities are massive. Although from a national priority point of view agriculture has been neglected, it remains Pakistan’s biggest competitive advantage. A: Why has this sector been neglected? AU: Partly because the government has not given it the priority it deserves and partly because the private sector has not seen its potential. The only part of agriculture that the private sector has exploited, and that too rather poorly, is the cotton textile chain, and even there we have got stuck at the lowest end of value addition. Engro believes that Pakistan’s food sector offers tremendous opportunities; that this is an area where Pakistan can become a world class base and be globally competitive. One of the biggest opportunities is in dairy, which is why we entered this category first. But this potential can only be exploited by taking the long-term view. We have invested massively in the supply chain because until you upgrade the quality of the supply chain to a level when your products are acceptable in the international market as tier one products, you will never be able to fully exploit that potential. A: What makes the Engro culture unique? AU: It is a highly empowered team. Although I chair the board, the organisation is run by the management team that is put together to operate the particular business. There is the structural aspect of the culture, where people are assigned clear limits of authority and then allowed to exercise it. Another aspect is the professionalism. Issues are debated on merit. It is a culture where people are not just encouraged, they are sometimes forced to speak up and take a position and engage in heated debates. It is this clash of ideas which throws up decision making of a far superior quality compared to a process where just one person exercises wisdom. Combined with this culture are compensation structures that recognise merit, an ability to take on very young and talented people and give them a lot of authority. It is also about significant discrimination and compensation between those who deliver value and those who do not. A: Engro is a Pakistani company; from where was the model for this culture derived? AU: The organisational structure and processes were inherited from Exxon; the bias towards committee and team decision making came from Exxon. However, the culture was also influenced by the people who worked in the company and because of the kind of organisation we are, we have attracted like-minded people; entrepreneurial people, people who like exercising their freedom, who like taking decisions and who are comfortable with differences of opinion.
" There is a widely quoted study conducted by Goldman Sachs in 2003 in which they came up with the acronym BRIC; i.e. Brazil, Russia, India and China – the countries they believed would be the drivers of global growth in the 21st century. In 2005, they conducted another study and came up with the N11 – the next 11 countries most likely to be star economic performers by 2050 – and they included Pakistan among them." A: How long have you been in your position? 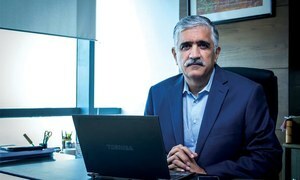 AU: I have been the CEO for four years and I have been working for Engro for 23 years. A: Is length of tenure an aspect of the Engro culture? 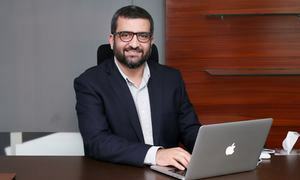 AU: The leadership of the company is a mix of those who have spent their entire career with Engro; you will find such people leading the fertiliser, energy and petrochemical side of the business and who have been with the company for over 25 years. Then, there are the new businesses (food and automation and controls) where we did not have prior expertise; these are led by people who had a lot of experience in their particular industry but not with the company. A: Does this mix of the older with the recent create tensions within the company? AU: It does. When you set up a new company, you tend to go through a period where people have to adjust to different cultures blending in. It is also an opportunity to import fresh ideas from people coming in with different perspectives and from different backgrounds, and that adds to the richness of the culture. But it also can be a source of conflict initially; however, when you have a healthy culture, where issues are heard and dealt with, conflict becomes a source of strength. Not knowing how to deal with diversity can be a serious drawback. A: The last five years have been very good economically. Is this about to change? AU: Pakistanis need to look at things with a bit of perspective. The USA is a $15 trillion economy and it still faces challenges. Challenges never go away in an economy. Yes, our economy is facing serious challenges, but it also has a lot going for it as well. There is a momentum for growth, and although the kind of growth that we have seen was not sustainable, we can still have decent growth. I think that we are moving towards a more sustainable political foundation compared to what we traditionally had, and in the long run, that can only be good news for the economy. I see a lot of reasons for optimism, while recognising that there are serious challenges. I think a five to five-and-a-half percent growth rate is sustainable at this point in time and if the right structural changes are made, maybe we can go back to a seven to eight percent growth rate, but you have to put the fundamentals in place for that to happen. "The only thing which can work against this would be a fracturing of the near consensus on deregulation and privatisation which had been achieved in Pakistan for the last 20 years. For the first time, I have been hearing that the near consensus has started to fray. If it happens, this will have an impact on the level of foreign investment coming in, rather than any regime change." A: A recent Goldman Sachs study has named Pakistan as being among the next generation of power economies. Is this a realistic forecast? AU: There is a widely quoted study conducted by Goldman Sachs in 2003 in which they came up with the acronym BRIC; i.e. Brazil, Russia, India and China – the countries they believed would be the drivers of global growth in the 21st century. In 2005, they conducted another study and came up with the N11 – the next 11 countries most likely to be star economic performers by 2050 – and they included Pakistan among them. The criterion for selecting the N11 was population size. 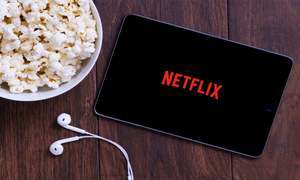 However, the study concluded that of the N11, the countries least likely to become star performers were Pakistan, Bangladesh and Nigeria. But nobody in Pakistan read the details of the study! All they heard was that Pakistan has been included in the N11 by Goldman Sachs. Having said this, all that Goldman Sachs did was to look at policy frameworks as they stood then and extrapolate from there. They cannot predict what will happen over the next 50 years because they don’t know what policy choices a country will make. There is absolutely no reason why Pakistan can’t be a star performer in the next 50 years provided certain fundamentals are put in place, but at this point in time, I don’t think we have made the policy choices which will put us on the path of sustainable high growth. A: What are the key policy choices the government has to make to put the economy on track and do they require courage to implement? AU: Some do. For example, the fiscal structure which reflects the overall political structure of the country is fundamentally unjust. It is not a question of how many people pay taxes, everyone who can contribute significantly to the tax structure is paying taxes, but the richest are not paying anywhere close to what they should be. The second question is what is the money spent on? The spending priorities are reflective of the wants of the elite rather than what the citizens require. If we do not create, if not a world class, then at least by emerging market standards, a quality education system which draws in the vast majority of citizens and potential workforce of the country, there is no way we are going to achieve a sustainable growth path. Pakistan is trying to achieve what nobody in history has ever achieved. You cannot have a largely uneducated population... with the kind of citizen profile we have, we cannot create a competitive global economy. It has simply never happened in the history of mankind and Pakistan is not about to change the rules on this one. A: How do you react to the view that Pakistani business is supportive of the new political dispensation? AU: In most instances in history, the capitalist class has been the driving force for reform and the democratisation of the society. In Pakistan, by and large, business has been anti-reform and pro-dictatorship. If there is a general feeling that business is supporting the current change then there has been a remarkable transformation of heart in the last few months. A: Do you foresee a drop in the level of foreign investment? AU: The foreign investments that had been made have been driven out of opportunities created in particular sectors. So while the overall macroeconomic and political situation of the country has an impact on those decisions, these are not broad based investments coming into Pakistan based on the fact that people perceive Pakistan to be a great base to have. The oil and gas, telecom and banking sectors have grown the bulk of the foreign investment; these were sectors which were booming and presented economic opportunities. If these sectoral opportunities continue to arise, as they should, then we should continue to see foreign investment coming in. The only thing which can work against this would be a fracturing of the near consensus on deregulation and privatisation which had been achieved in Pakistan for the last 20 years. For the first time, I have been hearing that the near consensus has started to fray. If it happens, this will have an impact on the level of foreign investment coming in, rather than any regime change. Interview conducted by Mariam Ali Baig.